By default, Domino/Lotus has the sender set to null. 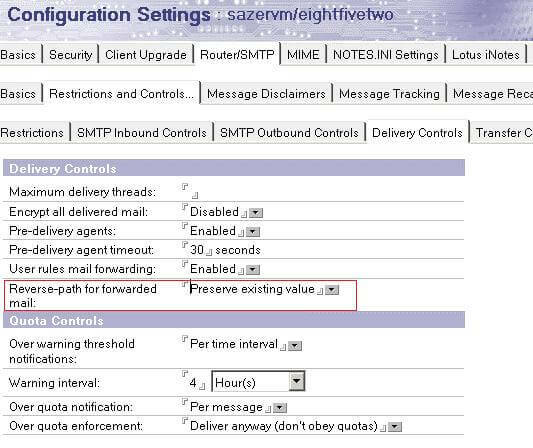 The issue can be resolved by changing the configuration settings for “Reverse-path for forwarded mail” found in the Domino server’s Configuration Settings at Router/SMTP > Restrictions and Controls > Delivery Controls. After making this change, save the configuration document and restart the router task (“restart task router”).